.......is a genuine treasure. No, ......is a treasure. Yes, they both sound dumb. Thank goodness I didn't put them in the title, phew. Oh-My-Bows! This one puts the Posh in MAC Posh Paradise. 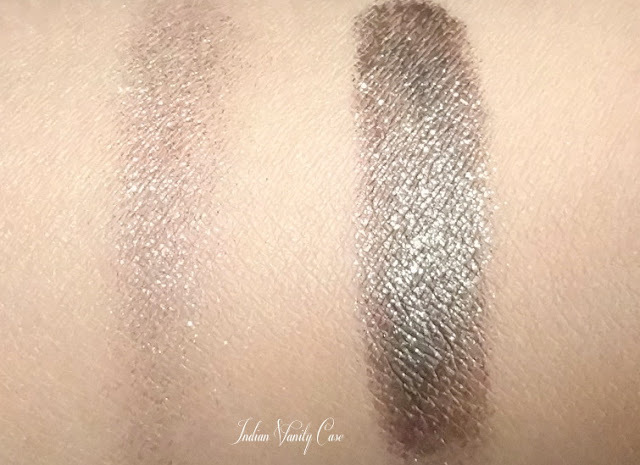 If you like glitter on your eyes, but can't be bothered about the tedious methods - with Vaseline & clear lip gloss & Duraline, then MAC Genuine Treasure is the answer! The Good: Gorgeous, unique, color. You can say it's a wearable gold. | Doesn't crease or smudge. 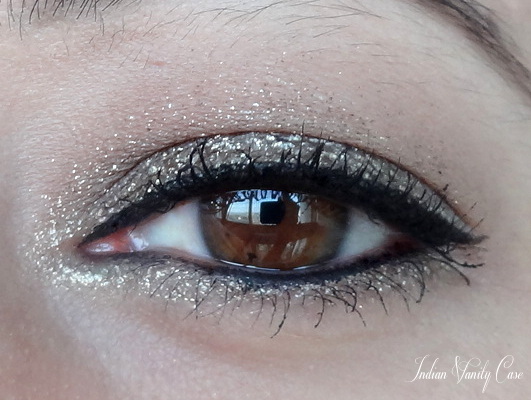 | Glitter + cream eyeshadow + primer in one. | Good amount in that pot. The Bad: There's absolutely no room for mistakes with this, coz it dries/sets in seconds. 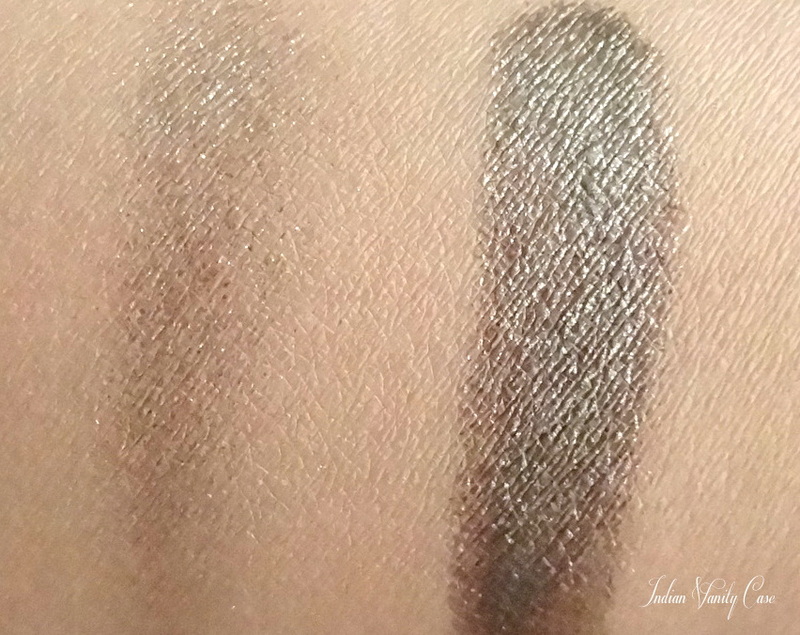 You gotta make sure you blend it really quickly, otherwise it will look patchy. 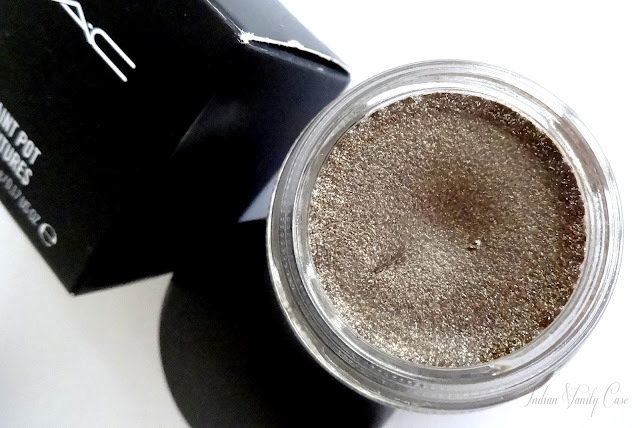 | Applying it too close to my waterline wasn't such a good idea, coz I have very sensitive eyes. | Paint Pots should never be exposed to air for too long, otherwise they'll dry up and become... well, useless. | Pricey. Best applied with ~ Fingers (ring finger, for me) or a stiff flat brush like Sigma E60. If you don't want it to look intense, then a soft blending brush like Sigma E25 will do. 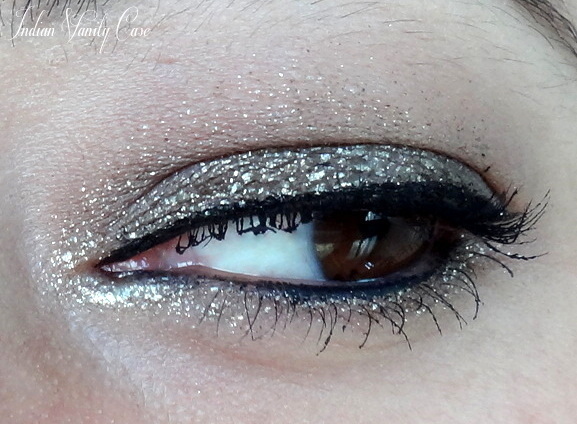 Does the glitter come off/get in your eyes? Only if you rub, otherwise it stays put- you don't bother it, it doesn't bother you. For sensitive eyes, it's best not to apply it near your waterline & too close to the tear ducts. 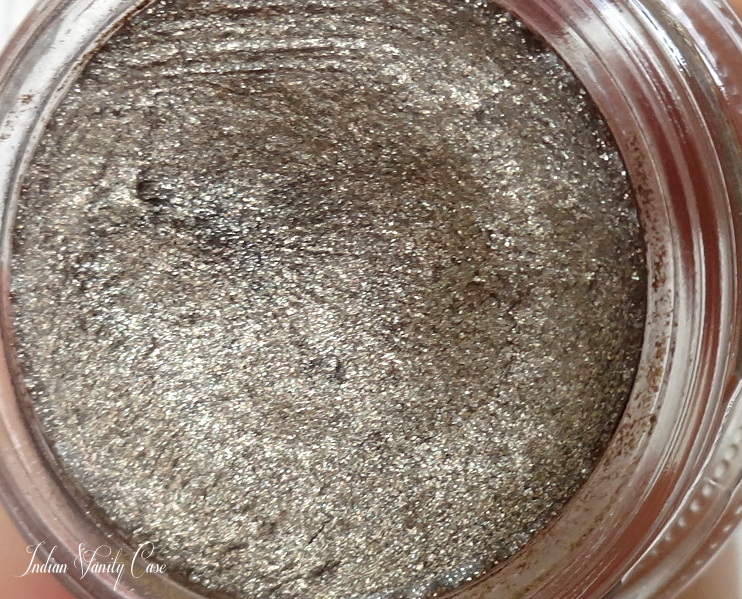 Now I wish MAC would introduce more colors in glittery Paint Pots! Especially purple & green, please. Price ~ Rs.1350. More than permanent Paint Pots, like Constructivist & Painterly, which cost Rs.1100. OMG! It looks so pretty! 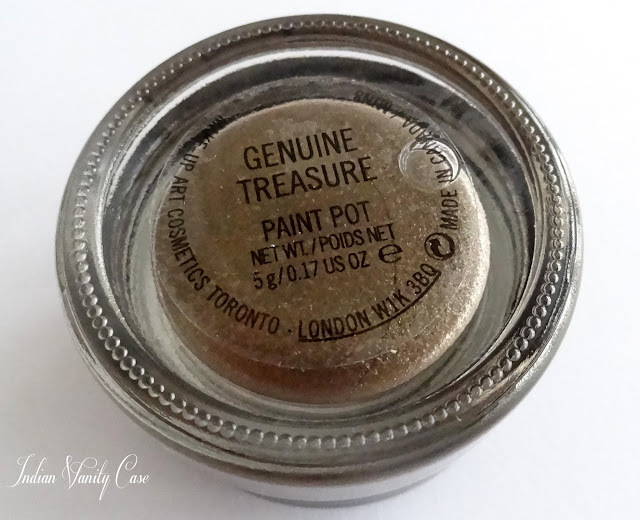 on your lids, have you used a base underneath this or it is just this?? I am surely going to get this one! Wow Cynthia! I am new to your blog and I'm currently reading the archives. I've never really liked make-up but you really inspire me to try new things and I must say I've never looked better. I was always a moisturiser and lip-balm person, but now I've started using a cheek stain and some lipstick too! Thank you for all the wonderful ideas! it looks gorgeous but I am not much into glitter so probably will skip it!